The Dance brings together Lijn’s interest in light, performance and new technology. In an age when robotics have taken a central place in so many areas of our daily life, The Dance explores the moment when ikon metamorphoses into being. The Dance is about relation. 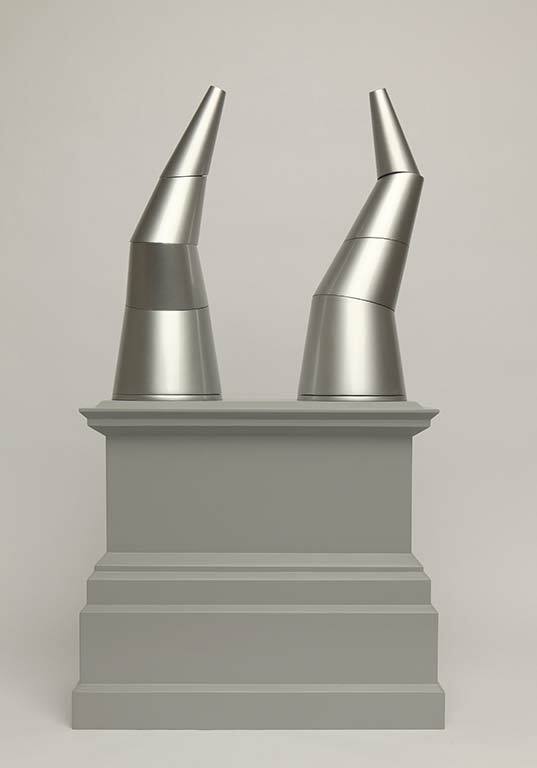 Instead of presenting one imposing sculptural object, it proposes the changing relation between two apparently identical volumes. The cone is a ubiquitous form, mathematical, astronomical, mythical. 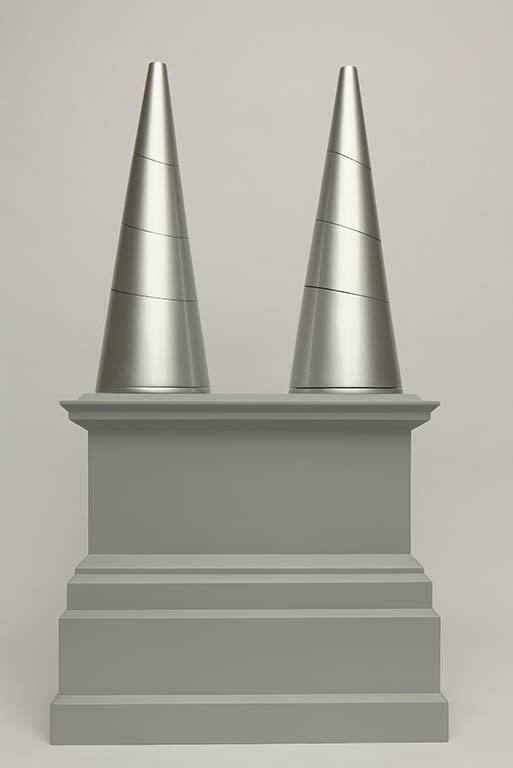 As volumes, the cones relate to the spire of St. Martin-in-the-Fields, but their gleaming metallic surfaces recall the machinery of space, that is, until The Dance begins. 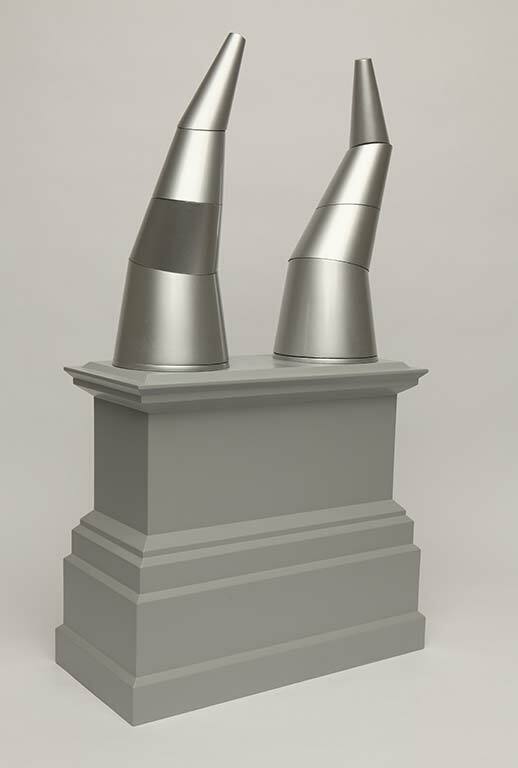 Once the two articulated cones begin their dance, the formal aspects of their geometry give way to a sinuous flow. Their shifting shapes and the ever changing space between them allow the sensual materiality of separate objects to dissolve in the energy of interaction.